The weather outside may be frightful, but the activities are so delightful. The snowy season allows students to enjoy the many skiing slopes and the ice rinks that flourish under the blizzards. Although it could be absolutely bitter outside, a cup of warm coffee or steaming hot chocolate are great companions to brave the storm. With his return to the wondrous world of Middle-Earth created by J.R.R. Tolkien, Peter Jackson creates another visually powerful film, but be warned, it’s no classic on its own. The major problem, which is simply inevitable with a film like this, is that it feels like the set-up for something bigger, but then again, that’s because it is in fact the set-up for something much bigger. Never mind that the source material is already lighter than the Lord of the Rings trilogy since Jackson crafts the tone for this one perfectly, because what The Hobbit: An Unexpected Journey functions best as is a teaser for the rest of the action. It’s hard to believe all of the violence that has occurred over the past year. Many people have been killed in tragic shootings around the United States. Many people are calling for reformed gun laws, while others are vouching for more focus on helping people with mental illnesses, and I believe that at this point in time there is not a sole answer to how America can prevent more shootings. I do believe that there are actions that can be taken to help prevent things this atrocious from becoming such a prevalent aspect of our society. Close your eyes and picture a camera zooming in on Highclere Castle and then cutting to a service bell downstairs ringing from the Saloon all set to the theme song “Did I Make the Most of Loving You.” The show that immediately burst into your head was “Downton Abbey”, right? If it wasn’t, the phenomenon-of-the-period drama is eagerly awaiting to blow your mind. The world’s animal population is rapidly declining everyday due to climate change. 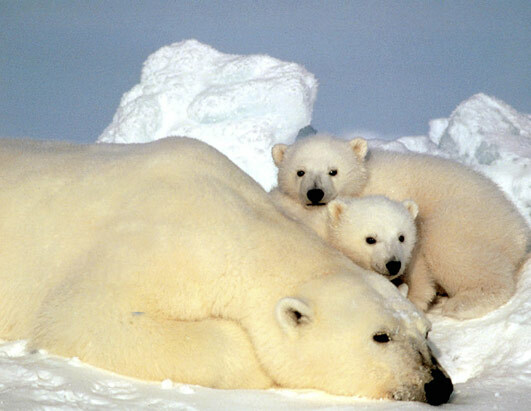 The polar bear is one of the many species in danger in part due to its melting habitat. In the last century, the earth has warmed approximately 1 degree Fahrenheit. These changes taking place in the climate are putting animals such as the polar bear in great danger. In the midst of hundreds of people, thirteen Heritage students had no idea that they would be among the one hundred and nine high school students selected to be in the Continental League Orchestra. On Monday, October 29, members of the Heritage Orchestra and Mr. Fischer, the director of Heritage’s Orchestra, traveled to Highlands Ranch High School to audition for the Continental League Orchestra that would be performing in Boettcher Hall in January of 2013. The orchestra works extremely hard for the opportunity and it also has a record to uphold. Zoe Van De Voorde, Heritage graduate of 2010, evacuated her NYU dorm room because of a storm named Sandy. “The night Sandy blew in, she knocked out my power and water. My roommates and I had a peanut butter and jelly party for dinner. We watched “Magic Mike” and slept through the worst part if the storm,” says Van De Voorde. It’s that time of year again. Winter sports are in full swing, including boys’ varsity basketball. From now until February, the boys will practice, strategize and work hard to win games in hopes of making it to the playoffs. The Eagles took on rival Arapahoe in their first game of the season. While they played hard, they were not able to pull out a win. The final score was 46 to 88. The exhilarating, electrifying pre-performance jitters of walking out onto the hardwood floor, judges staring, hearts beating, palms sweating, minds racing; these are the typical feelings of the Heritage High School Varsity Belles and JV Poms dance teams just moments before they perform their routines. “You can’t hear anything but the sound of your heartbeat and the people screaming,” Anna Gerze ‘14 describes.